On January 13th and 14th, 2015, the Committee on the Rights of the Child considered the fifth periodic report of Sweden on the situation of the implementation of the Convention on the Rights of theChild (CRC) in the country. The Swedish delegation was led by Mrs. Pernilla Baralt, State secretary at the Ministry of Health and Social Affairs. On this occasion, IBFAN submitted an alternative report to inform the CRC Committee on the situation of infant and young child feeding in Sweden. The report pointed out the lack of tracking of key breastfeeding indicators (especially related to early initiation of breastfeeding and to continued breastfeeding at the age of 2 years). It also emphasized the significant decrease of the rate of exclusive breastfeeding until 6 months that happened between 2000 (33.4%) and 2012 (14.5%). Regarding the promotion of optimal breastfeeding practices, it is of serious concern that the official Swedish publications, such as the ones accessible from the National Food Agency portale, are not in line with the official recommendations on infant and young child feeding issued by the World Health Organization. 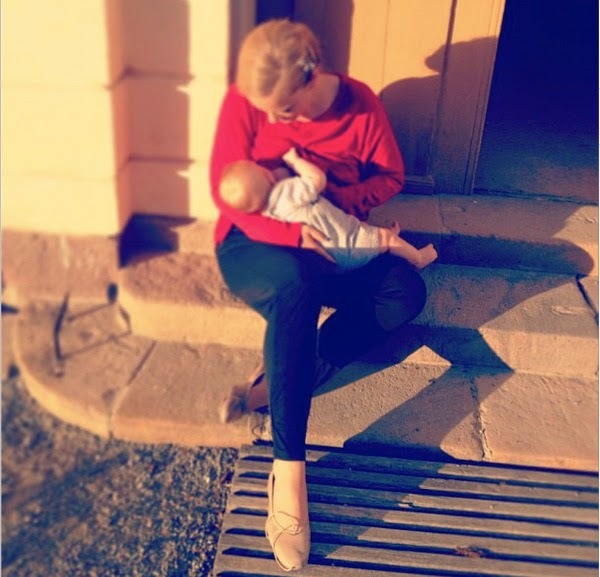 In addition, the protection of breastfeeding is still insufficient in Sweden. The International Code of Marketing of Breastmilk Substitutes and the relevant subsequent World Health Assembly resolutions have been only partially implemented through national legislation and although a voluntary policy on the marketing of breastmilk substitutes has been adopted, it is not enough to ensure that parents and caregivers are not facing undue commercial pressure from the baby food industry. In addition, the quality of the training courses of health professionals on optimal breastfeeding practices, considered as ‘too basic’ in a 2008 report, should be put into question and improved, and the consistency of information provided to mothers in maternity wards of the country should be regularly monitored. Finally, mother-to-child HIV transmission rate should be monitored and information on the implementation of any specific policy on infant feeding in emergencies should be provided. The Committee raised concern about the lack of implementation of the International Code into national legislation and about the issues related to the marketing of infant formula in the country. It noted that the rate of exclusive breastfeeding is very low and asked if there is an explanation about it. The Committee further emphasized the link between suboptimal breastfeeding practices and the growing trend of obesity and overweight within the Swedish population. It then requested the delegation to provide clarification on the activities that are lead by the government with aim to promote breastfeeding. The delegation answered that in Sweden, the cultural environment is generally favourable to breastfeeding. It also noted that the decrease of the rate of exclusive breastfeeding is not so important for children born since 2011 and that in 2009, a national breastfeeding committee has been formed in order to promote, protect and support breastfeeding. Besides, it highlighted that a 2013-2016 Strategic Plan for Coordination on Breastfeeding Health has been adopted and is structured around 5 main objectives (1/development of a national knowledge on breastfeeding, 2/ training on breastfeeding aimed at health professionals, 3/ information of health professionals and policy-makers about the WHO recommendations on breastfeeding, that have been translated in Swedish 4/ official recommendations on breastfeeding should be consistent with the WHO recommendations and 5/ the EU directive on infant formulae and follow-up formulae should be implemented through national legislation and monitored). The Committee thanked the delegation for its clarifications. It however insisted on several unanswered questions: Is there a Swedish comprehensive database tracking the breastfeeding indicators (especially the early initiation of breastfeeding and the continued breastfeeding until the age of 2 years)? Is the International Code fully implemented and monitored? What explains the decrease of the rate of exclusive breastfeeding considering the very high rate of institutional deliveries? Which measures are take to tackle the obvious lack of adequate training of health professionals regarding breastfeeding? Is there any plan implemented to protect and support breastfeeding in emergencies? In its Concluding Observations, the Committee did not make any recommendation directly or indirectly related to infant and young child feeding. A general recommendation related to health and health services called for strengthening “efforts to improve the health status of children from disadvantaged and marginalized groups and allocate sufficient financial, human and technical resources to ensure their right to health without discrimination” (§ 41).